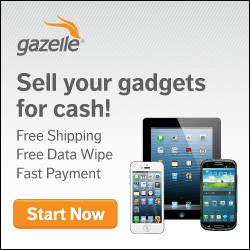 Gazelle purchases unwanted gadgets, pays you cash, and puts them into the hands of people who still value them. This extends their useful life rather than having them end up in landfills. Even if an item has no market value Gazelle ensures your old gadgets are recycled responsibly. Find local recycling centers and community events for the proper disposal of your electronics, computer hardware, appliances and other household products. Find 1000′s of local drop-boxes or create a fundraising depot for free disposal of your old cell phones and batteries from cordless phones, tools, toys, etc. Directs donations of used computers and hardware to non profits, schools and public agencies to help disadvantaged people lead more independent and productive lives. A national program enabling people to repurpose their cell phones to domestic violence agencies. Funds generated are used as campaign contributions to end domestic violence. Launch a used cell phone and battery collection event at school or work and raise funds for your favorite charity while helping the environment too. You can also donate your phone to charity for free. Apple’s Reuse and recycling program offers free recycling and/ or Apple Gift Cards for your old computers, iPads, iPhones and iPods regardless of manufacturer. You can also bring your old iPod or any cell phone to an Apple Retail Store for free recycling as well. HP Planet Partners Return and Recycle Program provides a variety of options to trade-in, trade-up or recycle any manufacturer’s computer hardware and electronics products, including incentives and promotions for upgrading to new HP products. EcoTrade Trade-In and Recycling Program from Sony happily accepts both eligible Sony and non-Sony products and lets you trade them in for credit towards the latest Sony has to offer. If your old Sony product has no value or you want to recycle it in a environmentally responsible manner Sony provides free drop off locations near you. Toshiba offers free and convenient ways to recycle or repurpose your old electronics and computers regardless of brand. Lenovo offers environmentally sound managed asset recovery services (ARS) and product take back and recycling programs to businesses and consumers around the world ensuring secure and environmentally safe disposal of your obsolete electronic equipment – regardless of original manufacturer. Acer’s recycling program provides a variety of convenient recycling and trade-in options for computers, peripherals and batteries. Gateway’s recycle program offers state by state partner resources with local drop-off locations for the responsible disposal of your computers, peripherals and batteries. NEC Total Trade makes it simple for individuals and businesses to remove and dispose of their current technology products as part of an upgrade to new NEC Display Solutions.